Construction of Data Exchange Network’s (DXN) $7.5 million data colocation centre has been delayed by at least six months. 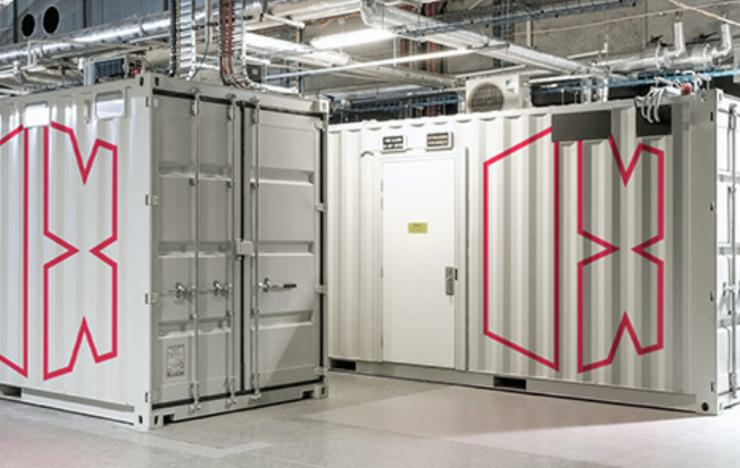 The publicly-listed company’s new 1.0MW Sydney data centre was originally earmarked for operation by early 2019, but is now expected to open by the end of July. Although Data Exchange claimed “good progress” had been made and all the modules were in place, it cited development approvals as hindering final delivery. A final development approval is expected by the end of February, the company stressed. Meanwhile, a second new data centre in Melbourne - also earmarked for early 2019 - has been put on hold in order to focus on completing the Sydney site, with construction delayed until later this year. Originally both the Sydney and Melbourne sites were billed to be 0.5MW data centres, costing around $4.34 million each, and later revised to $4.89 million. After deciding to upgrade the centres to 1.0MW in line with its Tier-Ready III and Tier-Ready IV Uptime Institute certification, costs subsequently rose to $7.5 million per data centre. Owing to the data centre delays, the Perth-based company said that since listing in April 2018, it has experienced lower infrastructure sales and lower-than-anticipated margins. As such, completion of the Sydney data centre will now be subject to Data Exchange’s cash position. It currently has $4.9 million in unrestricted cash, with the board “considering options” for funding. The announcement coincides with the resignation of Data Exchange’s co-founder, managing director and CEO Peter Christie, who cited personal reasons for his decision. He has been replaced by company CCO Richard Whiting and COO Simon Forth, who will serve as co-CEOs for an interim period. Both joined the company in November, with Whiting hailing from Vocus Group, where he was CEO western region and general manager of sales operations. Forth meanwhile joined from Brisbane-based engineering and manufacturing company in CSG Engineering. “DXN appreciates the contribution that Mr Christie has made to the company and we wish him well and every success in his future endeavours,” Data Exchange chairman Douglas Loh said. “We are fortunate to have experienced executives of the calibre of Richard Whiting and Simon Forth to lead the company in this interim period, to manage sales and pre-commitments and to complete the delivery of our Uptime Institute certified data centres.